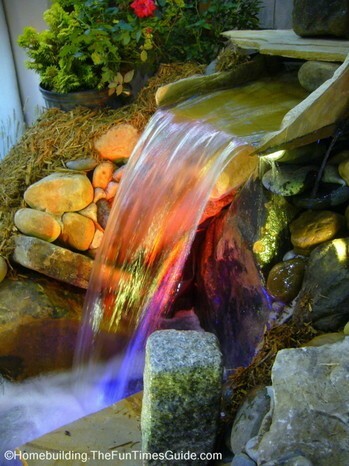 I saw some really cool looking outdoor LED lighting products at the 25th Annual Fall Atlanta Home Show recently. The LED landscape lights (made by RedBird Industries) weren’t the only cool thing we spotted at the show…by a long shot. There were all manner of innovative products and loads of really interesting ideas just begging to be noticed. We left the show with a bag full of literature on…well…you name it and I’ve probably got a pamphlet or business card on it. the LED lights on display practically covered the full color spectrum. Who makes these little gems? RedBird Industries. This little booth of colorful outdoor lighting drew us in like moths to a bug zapper. Very colorful, durable and unique. Those are three terms that come to my mind when I think about the RedBird booth. There is one drawback to the lights made by Redbird. Price. They are very expensive, as far as outdoor lighting products go. 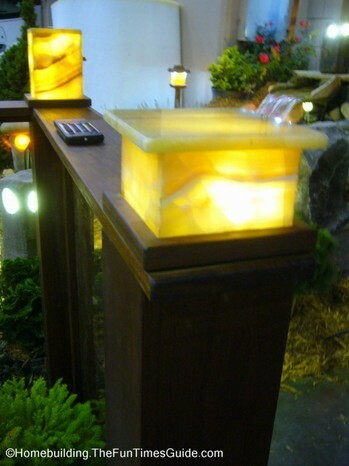 The 4"x4" solid Onyx railing post cap will set you back $230. 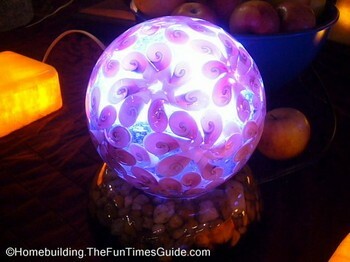 The Ipe Path Spike Lamp…$78. You get the picture. You really need to consider the materials and craftsmanship that go into these units when you’re about to make a major landscaping purchase such as this. Make no mistake…they are absolutely beautiful. But I must admit…you certainly get what you pay for with these little gems. 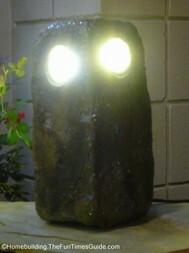 Very high quality is standard and all of the natural stone lighting products are, indeed, one-of-a-kind lights. They also make lamps using sustainably harvested Brazilian Ironwood (Ipe) and copper. Their website boasts these next generation LED bulbs and lamps to be zero maintenance, waterproof, bugproof, shockproof and a LIFETIME WARRANTY. Wait ’til you see these lights. Oh wait…you’re about to. 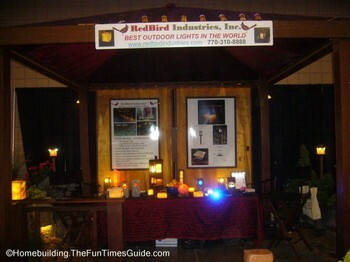 Check the RedBird exterior LED landscape lighting website for pricing and products.